Endocrine disruptors are not the only worrying chemicals that ordinary consumers are exposed to in everyday life. Also nanoparticles of silver, found in e.g. dietary supplements, cosmetics and food packaging, now worry scientists. 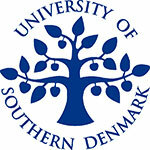 A new study from the University of Southern Denmark shows that nano-silver can penetrate our cells and cause damage. “Silver as a metal does not pose any danger, but when you break it down to nano-sizes, the particles become small enough to penetrate a cell wall. If nano-silver enters a human cell, it can cause changes in the cell”, explain Associate Professor Frank Kjeldsen and PhD Thiago Verano-Braga, Department of Biochemistry and Molecular Biology at the University of Southern Denmark. Together with their research colleagues they have just published the results of a study of such cell damages in the journal ACS Nano. • See the study Insights into the Cellular Response Triggered by Silver Nanoparticles using Quantitative Proteomics, by Thiago Verano-Braga, Rona Miethling-Graff, Katarzyna Wojdyla, Adelina Rogowska-Wrzesinska, Jonathan R. Brewer, Helmut Erdmann and Frank Kjeldsen, in ACS Nano, February 10, 2014, 35 $.